State Bank of India (SBI) has released the notification for the recruitment of Specialist Officer for the year 2018 now. 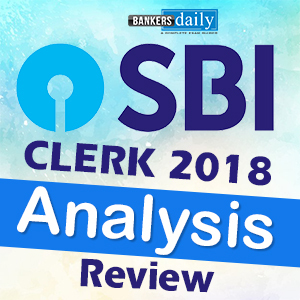 Recently , SBI have released the notification for the post of Probationary Officers and some days back for the post of SBI Clerk too. So the exam scenario is getting heated and aspirants can apply for the post of Specialist Officer from now on. 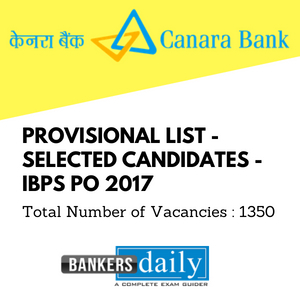 The total number of vacancies available for the SBI Specialist Officer 2018 is 13 and this is for both basic and Contractual positions. The vacancies available now are HR specialists (Recruitment) , HR specialist (Man Power Planning), Internal Communication Specialist, Banking Supervisory Specialists, Defence Banking Advsior(Army), Defence Banking Avisor(Para Military Forces), Circle Defence Banking Advisor. As said before these vacancies are available for both regular and on a contractual basis. 55 / 65 20-25 years of working experience in the Banking regulations particularly in the credit and market risk related areas. Thorough understanding of Banking Regulatory environment. • Interaction with the user department and HR Department for finalisation of job profile, KRA, qualification, experience and finalisation of CTC. • Interact with HR Consultant on the issue of recruitment. • Co-ordination with various stake holder viz., User Department, Cadre Management Department, CRPD & HR Consultants for handling various areas of recruitment. • Bringing best practices on Recruitment. • Assist in Manpower Planning exercise. • Provide end-to-end support required for recruitment for different User Department in liaison with the HR Department. • Providing support for recruitment process in conducting interview / Group Discussion, Salary Negotiation and On boarding. • Building and adoption of best HR practices in recruitment. • Building robust practices in recruitment process and onboarding process. • Assessment of manpower requirement. • Identification of skill gaps. • Identification of training needs. • Assessment of Manpower requirement in view of Business objectives. • Conducting skill gap analysis. • Identification of training requirements to fill the skill gap analysis. • Adopting best HR practices in the Industry. • Interact with other business verticals for roll out of HR policies. • Strong business communication and writing skills. • Ability to handle cross functional relationships. • Knowledge of latest communication tools and concepts. • Ensure close coordination with the Senior Management for implementing targeted internal communication strategies in line with organization’s vision, values and objectives. to facilitate and ensure strict adherence by the staff on all communication matters. • Review internal communication content that is delivered across business units/ departments, including memorandums, policy/process documents, newsletter, report formats, executive emails etc. Ensure communication content is consistent and meets bank’s objectives while adhering to defined guidelines. • Manage relationships with internal stakeholders across business units / regional offices, becoming a trusted adviser for communication. • Ensure proper documentation of all internal communication in order to maintain confidentiality and safety Manage and guide the team to ensure quality, timely and effective internal communication across the organization. • Applicant should be knowledgeable about governmental and financial regulations and laws, applicable to banking industry. • He has to ensure that bank’s policies and procedures comply with all the regulatory and governmental guidelines. • He should work closely with the Senior Management in overseeing compliance in the Bank. • Assess our Compliance Standards / extant due-diligence prevalent in the various functional area. • Identify regulatory gaps and suggest / follow through a time bound remediation plan. • Interpretation of regulatory directives so that frequent incidences of divergences are strictly avoided. Defence Banking Advisor (Army) • To liaise with Army Headquarters/Other Defence Force HQ/Paramilitary forces for expanding the relationship between Army/other forces and SBI at the institutional level and also increasing the spread of Bank’s Defence Salary Package (DSP) with their personnel including officers. • Arranging for meeting with Army HQ/Command HQ/other defence Forces HQ etc. When senior functionaries of SBI have to call on them. • Acting as one point of contact for the AHQ for complaint redressal. • Assisting SBI in identifying locations for branch expansion and also for setting up ATMs. • Generating and following up of business leads and also furnishing the Bank with the contact particulars of various units/regiments for communicating with them locally by our Circles/networks/RBOs whenever required. • Assisting SBI in placing advertisements in the Army’s in-house magazine as and when they are published. • Coordinating with circle DBA for marketing DSP/other institutional business and handling complaints. • Any other task assigned by his reporting authority. • DBA will report to the General Manager (Govt. Business unit) If the position of GM (GBU) is vacant or not posted CGM (Personal Banking)/GM (Personal Banking), Corporate Centre, Mumbai will decide to whom DBA will report. • The advisor should not represent the Bank directly in any negotiations nor exercise any administrative, financial or disciplinary powers. 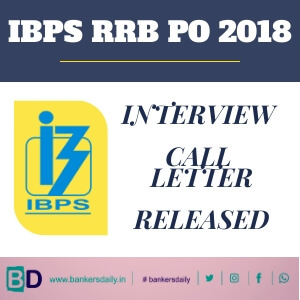 Defence Banking Advisor (Para Military Forces) • To liaise with Paramilitary Forces Headquarters for expanding the relationship between Paramilitary Forces and SBI at the institutional level and also increasing the spread of Bank’s Paramilitary Salary Package (PMSP) with their personnel including officers. • Arranging for meeting with Paramilitary Forces HQ when senior functionaries of SBI have to call on them. • Acting as one point of contact for the Paramilitary Forces HQ etc. for complaint redressal. • Assisting SBI in placing advertisements in the Paramilitary Forces’ in-house magazine as and when they are published. • Coordinating with circle DBA for marketing PMSP/other institutional business and handling complaints. • DBA will report to the General Manager (Govt. Business unit)If the position of GM (GBU) is vacant or not posted CGM (Personal Banking)/GM (Personal Banking), Corporate Centre, Mumbai will decide to whom DBA will report. A. Dealing with any localised issues. C. Ensuring that the accounts of all new recruits in regimental centers are tapped and also the pension accounts and terminal. • Arranging for meeting with commanding officers of the above formations when senior functionaries of SBI have to call on them. • Acting as one point of contact for the Army/Navy/Air Force/Paramilitary establishments for complaint redressal. • Coordinating with DBA at corporate level for marketing DSP/other institutional business and handling complaints. • CDBA will report to the General Manager (Network), but for day to day working he will work under DGM/AGM(PBBU) of the network. The issues /clarifications/changes relating to the reporting authority of CDBA will be decided by the CGM (Personal banking)/GM (Personal Banking), Corporate Centre, Mumbai. The probation period for the Regular positions will be announced by the State Bank of India soon.